Sometimes you just gotta get with your bro’s and fix a truck. Even if only one of you know what you’re supposed to be doing. At least in the end you can say, we fixed a truck. 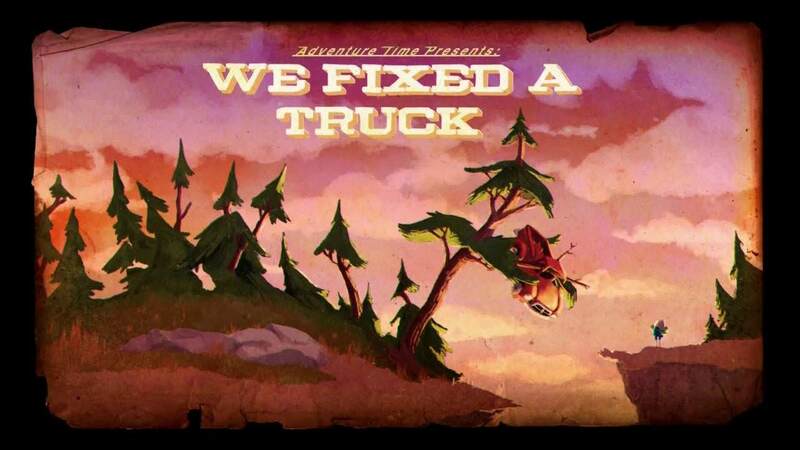 To start the episode, we have Finn pushing a truck toward the Tree House singing a song about finding the truck and how he’s going to honk the horn to wake up Jake and BMO. When Jake and BMO come check out the truck, Finn tells them he named it “Hot Daniel” Impressed, but lacking knowledge of how to fix it, Jake turns to Banana Man for help. After giving everyone an impressive explanation of how a combustion engine works, (with nice diagrams that Banana Man was pointed to, we could see, everyone else, not so much) BMO got a gold star for answering that Air and Fuel mixed make combustion. (Save up 9 more BMO and maybe you’ll get a cool Tiger poster) Cue fun montage of fixing a truck and everyone giving a thumbs up for every little applishment. If this is how fixing a truck really goes, I’m in. Things start to get a little more stranger than normal when BMO stays up to work on the car and he’s listening to Starchy’s radio show from the graveyard. Starchy is harping that Princess Bubblegum as been replaced with a lizard replicant. Oh crazy ol Starchy. Was it just me or did it seem like Starchy was just making up callers for his radio show? After getting the engine to work, drop kicking the top of the truck off, the gang goes for a ride, doing normal truck stuff. Like taking big jumps and spraying dirt from taking sharp angles. When the gang decides to try and impress a female banana guard for Banana Man, things get a little wonky when they spray her in the face. So, finding out that Starchy wasn’t exactly wrong after all as a bit of shocker, considering what Starchy has been up to in the past. I did feel bad for Hot Daniel when Finn stripped Banana Man of his peel, made the tires spin out and then launched the truck at the giant lizard, killing it, and setting Hot Daniel on fire. I still really want to fix a truck. What did you think of the episode? Sound off in the comments below. 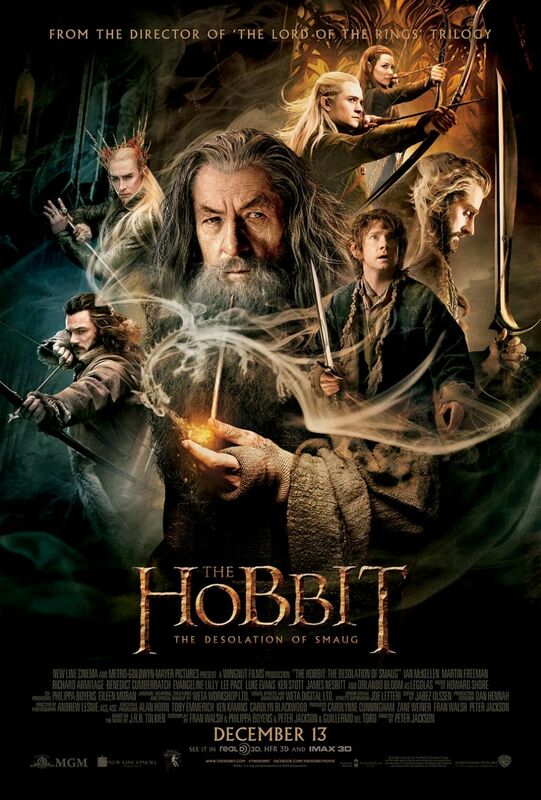 We have VIP Seats for The Hobbit: The Desolation of Smaug Advance Screening in Salt Lake City!